Welcome to Hinton RV Park! This 58 site big rig dream park is ez-off and ez-on I-55 exit #67. Located half-way between St. Louis and Memphis. We have long level pull-thrus with all the expected amenities! You will be personally escorted to your site with Good ol’ Southern Hospitality. Enjoy a great meal at the famous Lambert’s Café, "Home of Throwed Rolls”. See the Mighty Mississippi River from the observation deck just south of us or visit the Stars and Stripes Museum. Experience the Sikeston Jaycee Bootheel Rodeo, or the Dogwood Azalea Festival. Located at the crossroads of I-55 and I-57/US 60. Hinton RV Park started it’s humble beginning in a little 8x8 wooden portable building in April 1996. 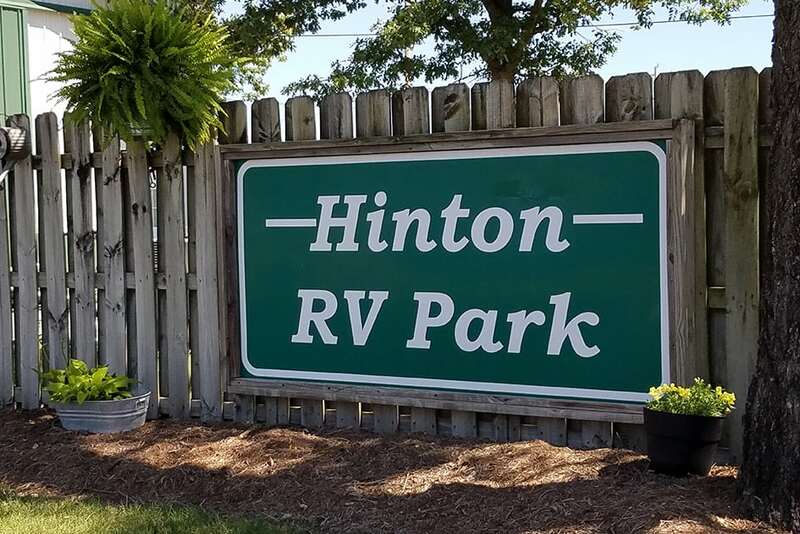 Formerly Jon Don Acres, built before I-55 opened in the late 60’s, the Hinton Family has transformed this out of date over nite park into a modern RV facility. A long with our fiber supplied WIFI, the entire park has been rebuilt from the new long pull-thrus to the registration office and restrooms. Once just 18 dirt sites, this park has grown to accommodate over 58 BIG RIGS thru 2 expansions, one in late 1999 and the other in early 2003. Like our ever-expanding family owned and operated business, the Lambert family operates one that has grown over the years too. Just down the street, the famous “Lambert’s Café’ Home of the Throwed Rolls” is a must during your stay. Oh, don’t worry about parking or unhooking. Lambert’s Café will come down and pick you up and bring you back full as a tick. Construction on our new high speed, fiber optic supplied, Wi-Fi has been completed! 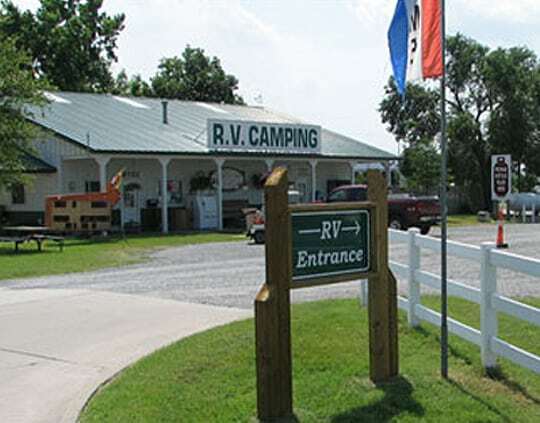 We now have Wi-Fi throughout the entire RV Park! Oh, and by the way, we now have cable without having to hook up boxes to your TV. Lambert’s Café "Home of Throwed Rolls"
From I-55 (Exit #67) East 0.2 miles on US-62, park is on the right. From US-60 Go North on I-55 1/2 mile to Exit #67 East 0.2 miles on US-62, park is on the right. From I-57 Go North on I-55 1/2 mile to Exit #67 East 0.2 miles on US-62, park is on the right. Visit these websites for more information on our area and events! © 2019, Hinton RV Park. All Rights Reserved.